Do I really need to replace my existing roof? 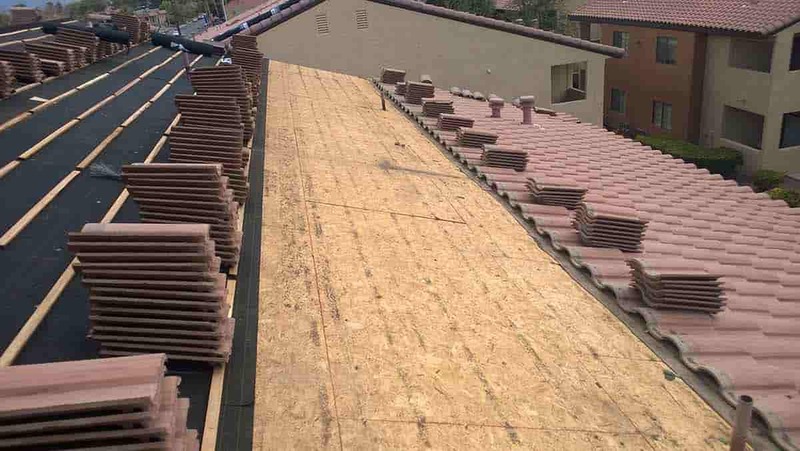 What type of roof material should I use? Our professionals can perform a full assessment to help you determine the need for re-roofing or replacement and choose the right material for your home and budgetary requirements. Replacement is done once a roof is beyond repair. There are several signs that will indicate a roof replacement is needed. One of these is the age of the roof. Different roof materials have varied lifespans. For example, asphalt shingles can last anywhere from 20-40 years while clay tile roofs may provide you with 40-60 years of use. If your roof has many cracked and curled shingles, these could also be an indication you need a new roof. A trained roof technician will have knowledge of different roofing systems and will be able to tell you for certain if you need a new roof. We have the experience and knowledge to identify what your roof issue is. When a full home roof replacement is needed, our experienced estimators will work with you to develop the most cost-effective solution for your roof system. Since each one of our crews is specially trained and selected for your particular property, you can rest assured your property is getting the attention it deserves. We have knowledge of a variety of roofing systems and can match you with the best one for your needs and budget. The cost of your new roof will vary depending on the material you choose and the size of your home. The national average cost is $6,600 for a new roof installation, but this price increases when using high-end materials like slate. The Original Roofing Company can help you determine a budget. Replacing a roof can be a large investment, so we have payment options available. We partner with EnerBank to help our customers finance their project with affordable monthly payments. There are many roof materials to choose from, and you may not be sure where to begin. 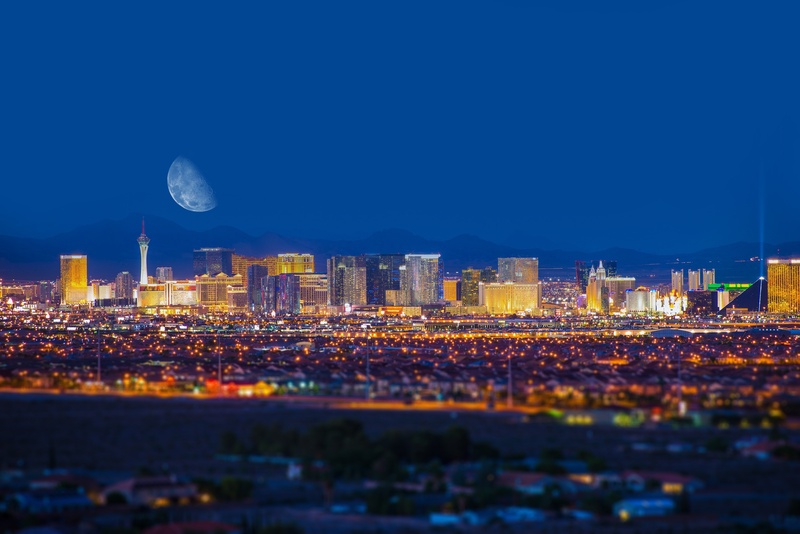 The Original Roofing Company can help you select the best roofing material for your Las Vegas home. Whether you want a metal roof, an asphalt shingle roof, or a clay tile roof, we carry a wide range of options for you to chose from. With over 50 years of experience, we’re a preferred home roofing contractor. We can provide you with a free roof evaluation, match you with the best re-roofing option, and recommend roof maintenance options that can extend the life of your new roof. What Types of Roofs Do You Replace & Install? Concrete Roof Tile: Concrete tiles are long-lasting and resistant to fire and weather changes. They are also available in several different shapes, designs, and colors to meet your aesthetic preferences. Your contractor can use concrete to simulate the appearance of clay, wood shake, stone, or slate tiles. Shingle Roof: Roof shingles have a wide array of decorative and colorful options. The Original Roofing Company offers fiberglass-based asphalt shingle as well as synthetic, metal, and synthetic shake shingles. Clay Roof Tile: Clay tiles are extremely durable and designed to last for many decades. These tiles require little maintenance and won’t succumb to rot, fire, or insects. They’re also available in a broad selection of brands, colors, styles, and types. Metal Roof: This type of roofing material is stronger and more durable than many of the other options available. Plus, it can be made to look like other popular roofing materials such as asphalt, clay, and slate. The Original Roofing Company expertly installs metal roofing systems from top manufacturers like Drexel and Berridge. Our team consists of industry technicians with an average of 10 years’ experience. No roofing job is too hard for us. We’ll work with you to develop an effective solution to not only fix any roof repairs but to also prevent further damage to your roof. Our professionals strictly adhere to current building codes and manufacturer specifications to ensure the highest quality work possible. You won’t have to worry about getting just a band-aid of a repair because we always do what’s best for the long-term benefit of you, our customer. Call today at 702-739-7663 to request a free repair estimate.